Sydneysider Mike Woodcock was clearly chuffed when he handed his Change.org petition to Premier Gladys Berejiklian, on a blustery Tuesday morning. 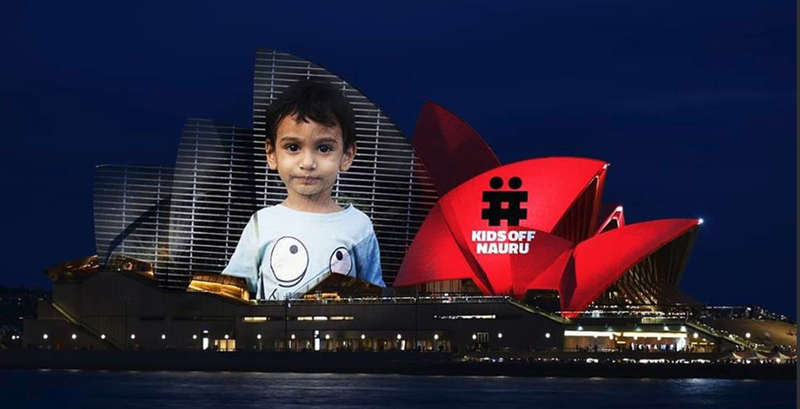 Within three days the petition raised over 250,000 signatures (and as this story is written, those numbers continue to surge by the hour), in defence of the Sydney Opera House CEO, Louise Herron. For Woodcock, this petition was sparked by two related, unacceptable events: the spectacle of a public servant being bullied on prime time radio, for conscientiously carrying out her duties as a custodian of a national treasure, and a State Premier caving-in to the powerful racing lobby. Herron had initially rejected Racing NSW’s application to project promotional materials for an upcoming Everest Race, including a logo, live video feed, and the details of jockeys and horses. 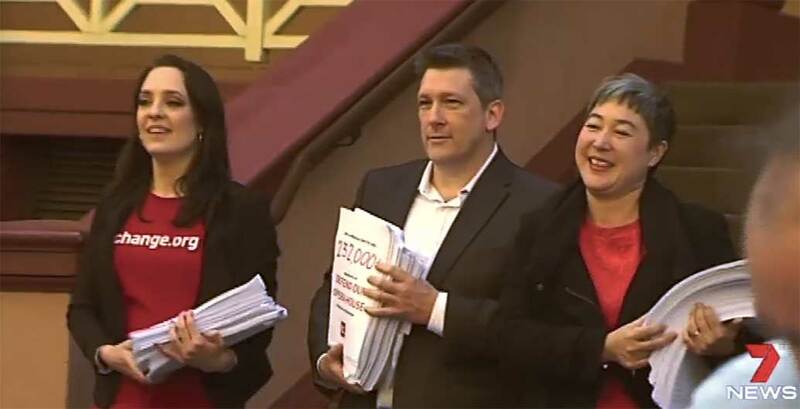 Premier Gladys Berejiklian then took the unprecedented decision to overturn the CEO’s decision, and demand Herron accept the application and allow the projection to go ahead. 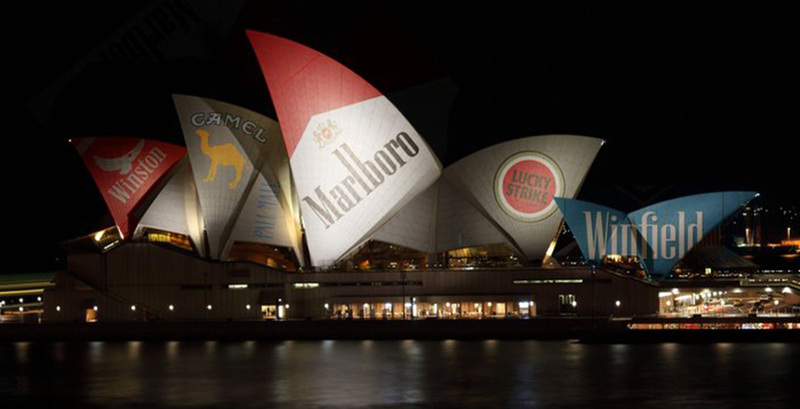 The SMH questionnaire asked, “Should the Sydney Opera House sails be used for commercial advertising?” 36,800 people responded, with 94 percent saying ‘no’. The broadcaster was Radio 2GB and the interview was between the ‘shock-jock’ Alan Jones and Herron, during which Jones aggressively berated Herron, saying “if I were Gladys Berejiklian, I would pick up the phone and sack you today” (Radio 2GB has since removed the recording). Jones, who lives in the Bennelong Apartments next door to the SOH (better known as the ‘toaster’), is no fan of Herron. As part of the Sydney Opera House Concerned Citizens Group, Jones has a long history of complaining about what he claims is the mismanagement of the SOH, ranging from noise levels, terrorism threats and the ‘unsightly presentation’ of the forecourt during concerts. Within hours of Jones’ interview, Berejiklian made it clear that Herron had little choice in the matter. The Premier sided with the bully, and the news stories exploded, across front pages, facebook posts and the national broadcasters. The Sydney Morning Herald quickly launched a public questionnaire on Facebook. The SMH questionnaire asked, “Should the Sydney Opera House sails be used for commercial advertising?” 36,800 people responded, with 94 percent saying ‘no’. 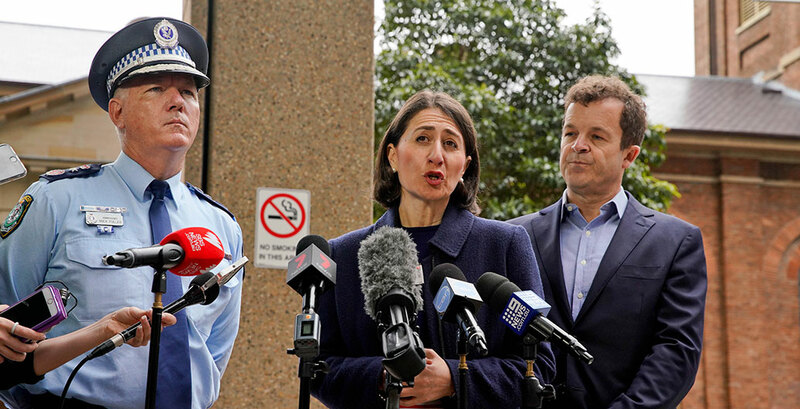 NSW Premier Gladys Berejiklian defending her decision to intervene. Image: AAP. Commentary around this scandal has come out resoundingly in favour of Herron, and against Berejiklian’s intervention. Berejiklian’s actions are seen as further evidence of the corruption of political decisions, by lobbied commercial interests. Some commentators have defended Berejiklian, however, citing the SOH’s decision to allow other illuminations on the building’s distinctive shell. Indeed, there is precedence for the illuminating of the SOH, and growing pressure to do more, which is why the Sydney Opera House Trust has prepared and endorsed a specific Illumination of Sydney Opera Sails Policy, to guide decisions related to the illumination of the ‘sails’. It is a detailed document that outlines the principles that inform the policy, the criteria that govern approval of illumination requests and the practices and procedures to undertake such illuminations when approved. The proposed Racing NSW projection does not comply with these policies on a number of counts. Most importantly, clause 3.7 of the policy states that “No logo or corporate identity shall be permitted to be projected onto the Sails”. While Racing NSW is the regulating body for thoroughbred racing in NSW, and therefore not a corporate identity, The Everest race (the subject of the controversial projection), is billed as the “world’s richest race on turf”, with prize money of $13 million. 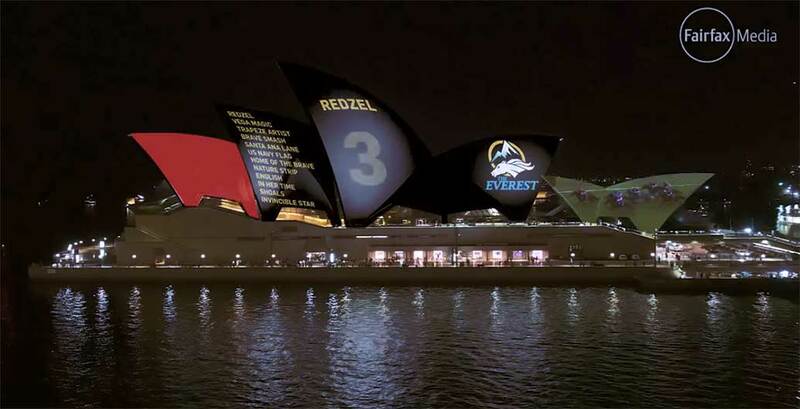 The Everest logo was resisted by Herron, but is now part of the planned projection, as demanded by Berejiklian. Clearly, Herron’s original decision to reject the Racing NSW proposal, was taken neither lightly nor as a matter of executive license. She was following the rules. Within the policy that determines which request is accepted or declined, the first criteria states that the lighting must be related to “a major cultural event or community project”. These words inevitably require a degree of interpretation – as to what is, or is not, a major cultural event. However, it should be noted that past sporting events projected onto the SOH relate to national team sports. These are sporting events that can bring the nation together and have histories that go back many decades. The Everest by comparison, is neither a national sporting event, nor is it even a Group 1 race (the global classification for the highest level of racing). It was invented by Racing NSW CEO Peter V’landys in 2017. That’s last year. Beyond the specific policy detail, like many important buildings and public spaces, the SOH has developed a Conservation Management Plan (CMP), which it has adapted over many years, and is now in its fourth edition. The CMP provides detailed and thorough guidance on all aspects of how the building should be used, managed and cared for. It notes, pointedly, that “The Sydney Opera House exterior, particularly the shells (and even the Tarpeian Wall face), should not be regarded as a giant billboard or commercial / advertising opportunity”. Clearly, Herron’s original decision to reject the Racing NSW proposal, was taken neither lightly nor as a matter of executive license. She was following the rules. She weighed her decision against a set of agreed and transparent processes and protocols. Berejiklian responded without process or detailed reason. In doing so, she has degraded, not only the Sydney Opera House, but the principles that underwrite how public institutions can protect and care for the national treasures they are custodians of. She has opened the floodgates, for the commercialisation and crass exploitation of public spaces, building and institutions across the state. The Australian public reacts to the saga with satirical artist impressions. Image: reddit. 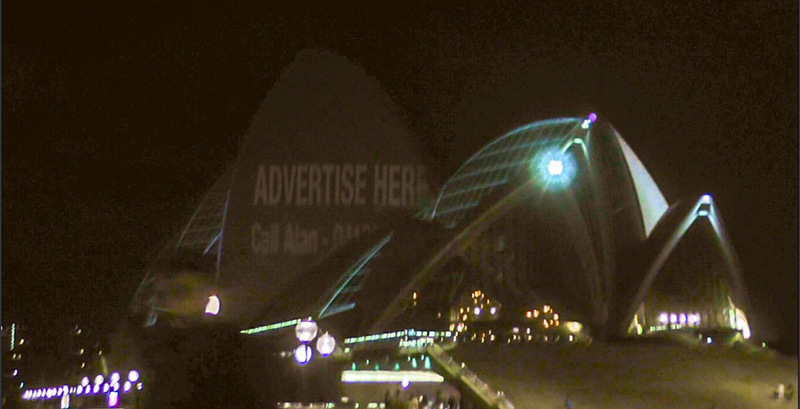 The Chaser projected "Advertise Here" on a number of Sydney institutions Image: The Chaser. The question of tourism value was not lost on the Prime Minister Scott Morrison, who is also a former chief of Tourism Australia (“where the bloody hell are ya” was under his watch). Asked about the decision, he said he had no problem using the building as a giant billboard. Before doing so, he might want to read the 2013 Deloitte report entitled How do you value an icon? 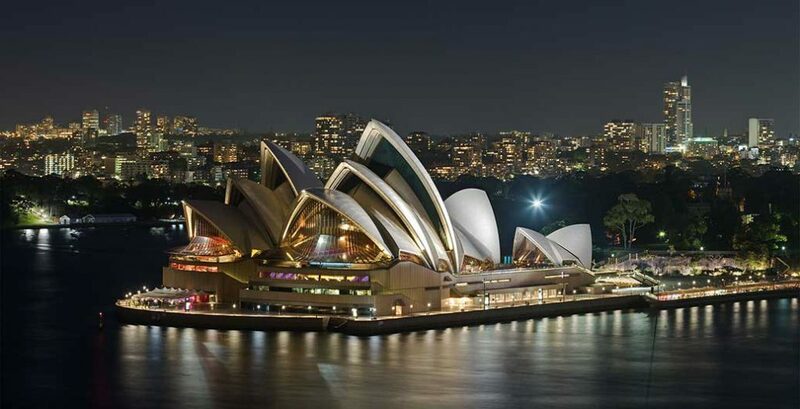 The Sydney Opera House: economic, cultural and digital value. That report was not authored by “the latte-sipping mob”, as Jones likes to refer to those protesting against the projections, but by one of the world’s largest accounting firms. The report estimates that the SOH’s non-use value, “which relates to its cultural heritage and identity as a national icon – is a 40-year present value of $2.1 billion. We estimate its total social asset value at a 40-year present value of some $4.6 billion”. $4.6 billion puts The Everest’s $13 million prize pool into proportion. Thanks to the operatic hysterics of Alan Jones, Peter V’landys may well have succeeded in getting media attention for The Everest, but not quite in the manner he hoped. Completing a trifecta of comments from peak built environment bodies, David Williams, CEO of the Planning Institute of Australia (PIA) was equally critical of the NSW Government’s intervention. “Planners, like other professionals involved in creating the places where we work, live and play, call on the NSW and Australian Governments to step back from this current proposal.” For Williams this unfolding story requires “a calm and considered conversation with the community, on the future use of landmark buildings such as the Sydney Opera House”. It looks like that pub test is playing itself out across the nation’s news and social media. In the time it took to pull this story together, another 30,617 new signatures were added to Mike Woodcock’s petition. It will likely hit 300,000 by the time the projection takes place later today. A Facebook event “Defend the Sydney Opera House” has 16,000 people interested in attending, while The Chaser team has doggedly followed the story since Friday. At 3am on Tuesday morning they live-casted a stunt where they projected the words “Advertise Here. Call Alan 0413 873 873” onto the NSW Parliament, the Art Gallery of New South Wales and, from a blurry distance, the Sydney Opera House. A video of the prank has gone viral, with over 50,000 views in a few hours. Meanwhile Racing NSW has just cancelled a live barrier draw for the race, and betting has been suspended, due to security concerns.